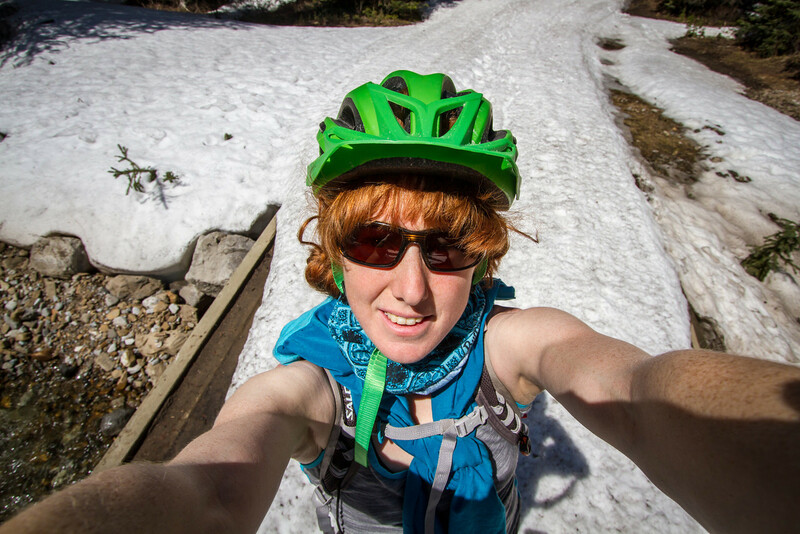 My next cunning plan was to ride my bike from Canmore to Fernie. But part of this plan involved convincing someone else to come with me, for at least part of the journey. For company, and so the bears would have someone else to eat. The only difficulty was that the person who seemed most likely to come was being told that Elk Pass was under four metres of snow, and the whole expedition was foolhardy madness. We would be starting our joint journey at the Elk Pass trailhead. 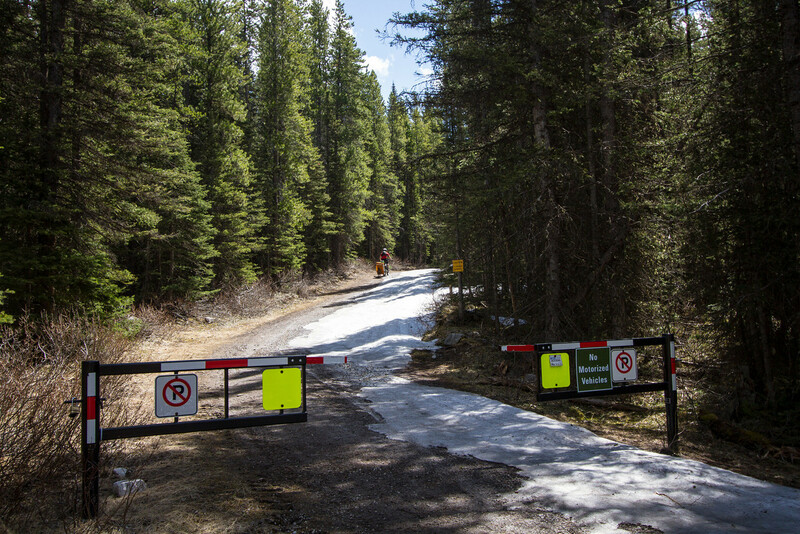 Elk Pass is the highest point between Kananaskis Lakes and Elkford, but if it was thoroughly under snow, there could be at least 10km of snow-slogging between us and the rest of the lower altitude (and hopefully dry) trail. And so I had a scouting mission to undertake. Above is the view from the Elk Pass trailhead five days before we intended to set out. It wasn’t looking terribly promising. But in the end, it wasn’t actually that bad. 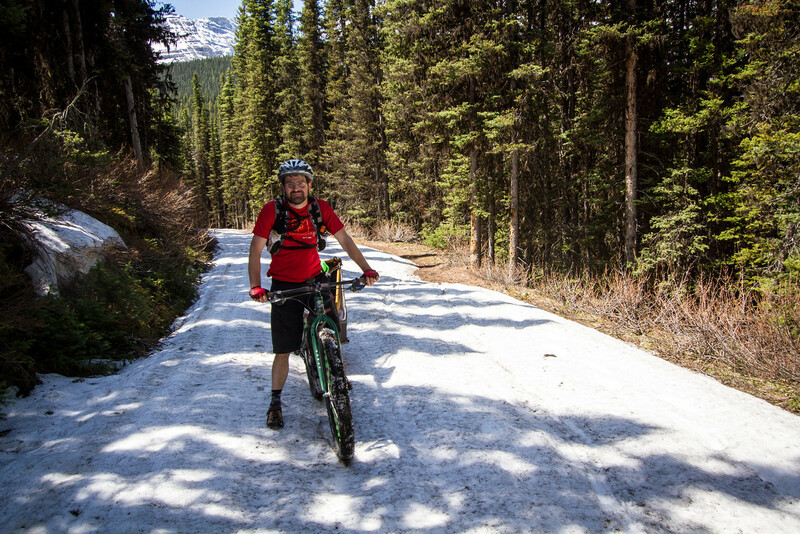 There was compacted snow on the trail, thanks to the cross-country grooming that takes place all winter long. But there were also a lot of dry and muddy patches. The bridge I’m standing on to take a photo of myself? With a foot of snow on it? Five days later it was totally snow free. 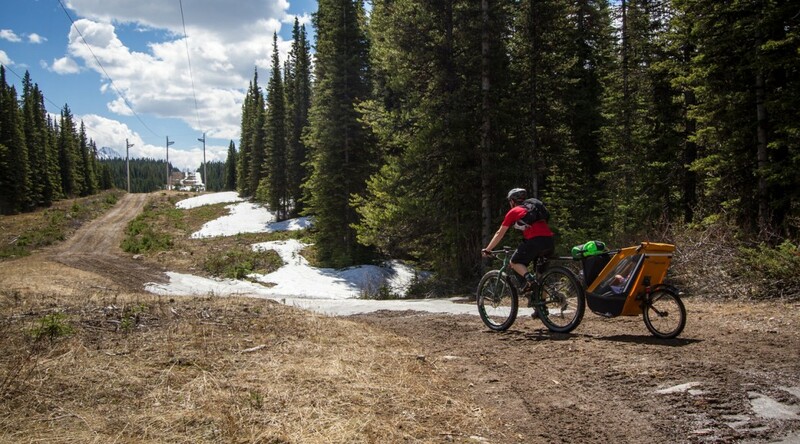 But then, there were a few fairly epic snow patches too. Even towing the singletrailer, Alex fared better than I, with his big fat Krampus tyres. But then we hit the powerlines, and everything was great! For a while. 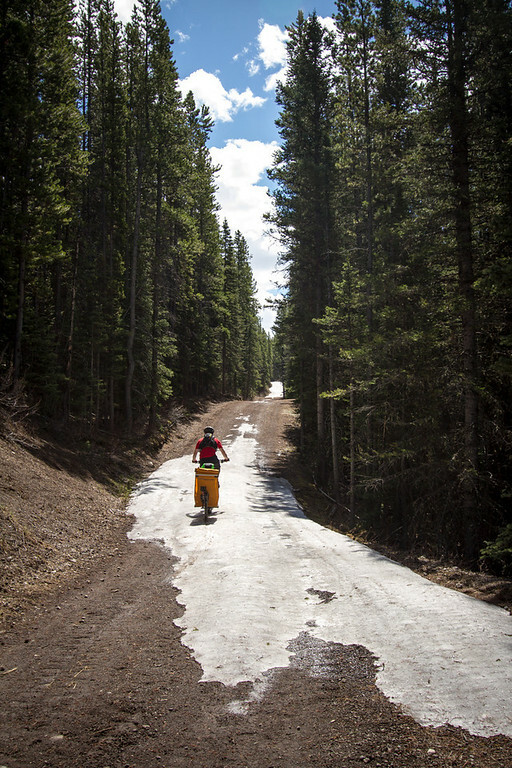 Then the trail was a perfectly compacted mass of slushy warm snow, mud and puddles of water, so we cycled along through the brush at the side for a while. Picnic table at the summit of Elk Pass! 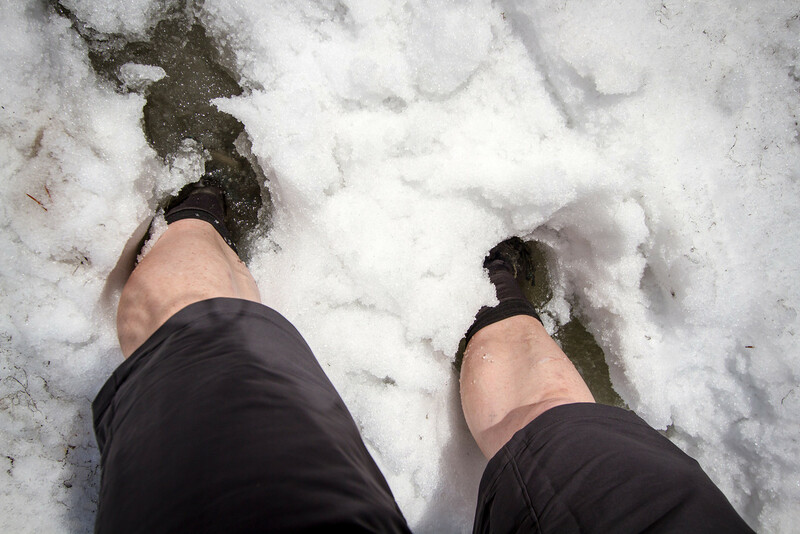 I went for a walk, found a good deep puddle of icy water, and tested my new goretex socks in it. Success! They’re absolutely wonderful. Shoes absolutely waterlogged and squelching with icy cold snow melt, feet toasty and warm within. Probably a bit stinky, but who cares so long as they’re warm! My new favourite piece of gear. 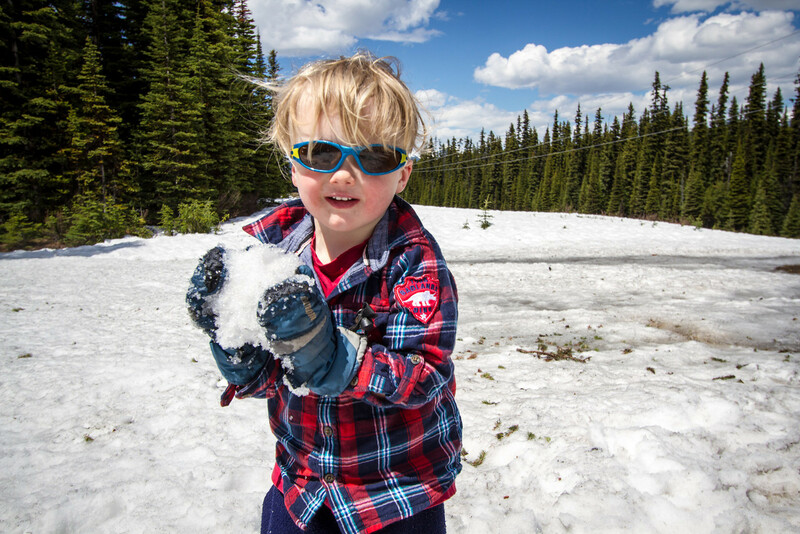 The boy spent some time throwing snowballs at everyone and everything, we napped in the sun for a while, and then battled the even mushier snow to descend back down to the car. Mission successful. 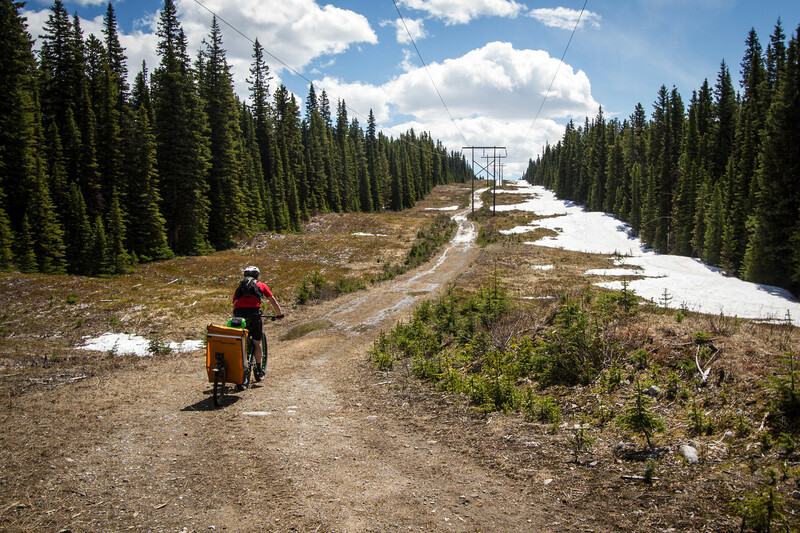 It definitely shouldn’t be too hard to get over the pass, the snow was melting like crazy, so things should be even clearer by the end of the week. And starting in the early morning will hopefully mean frozen mud and snow, much easier to ride on. 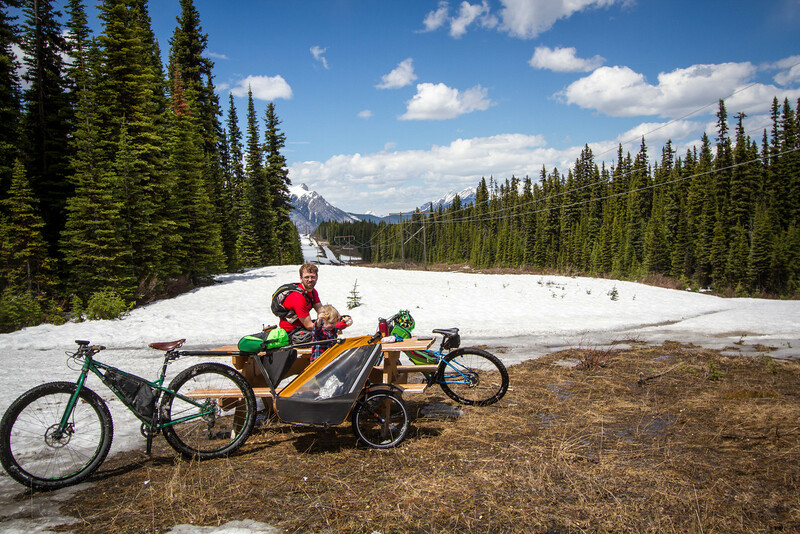 Previous PostCanmore CloverleafNext PostPart 1: Riding Canmore to Kananaskis Lakes – solo!